Marc Anderson has 21 years of legal experience that includes representing clients in matters involving catastrophic personal injury, wrongful death, traumatic brain injury, products liability, insurance bad faith, dependent adult and elder neglect, consumer law, and medical negligence. Marc's recent results include settlements of more than $19 million for pedestrians, bicyclists, and motorcyclists who were struck and injured by automobiles, a client seriously burned in a propane explosion, a client who suffered a brain injury in an intersection collision, and a client who was the victim of elder neglect. He was honored to represent seven clients who were the victims of a neurosurgeon who is now being criminally prosecuted by the U.S. Attorney's Office. Marc has tried cases in California's state and federal courts. He represented the surviving parents in a wrongful death dependent adult neglect trial in Ventura County that resulted in a $2,000,000 jury verdict and $500,000 attorney fee award. 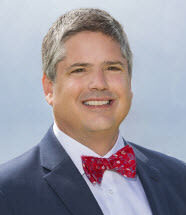 Marc serves as the Vice President/President-Elect of the Ventura County Trial Lawyer's Association. Marc is a graduate of Pepperdine University School of Law. He was admitted to the California Bar in December 1994. Marc and his wife, Kristi, have two children, Bodie and Libby. Marc enjoys reading, sailing, running, mountain biking, and camping.